Mars’ path round the sun stretches longer than Earth’s, so Mars takes longer to round the sun. 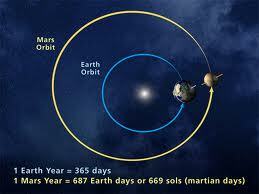 Consequently, Mars’ summers, when Mars passes closest to the sun and warms, last longer than Earth’s. 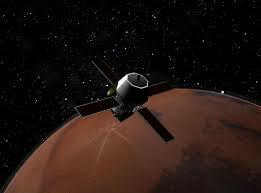 Mars’ winters, when it’s colder and farthest from the sun last longer than Earth’s winters. So Mars’ seasons last twice as long as Earth’s. Both Earth and Mars spin on their own axes in 24 hours, so they have equal days and nights. At Tiahuanaco, Nibirans Ninurta and Viracocha planned and built power-producing pyramids. 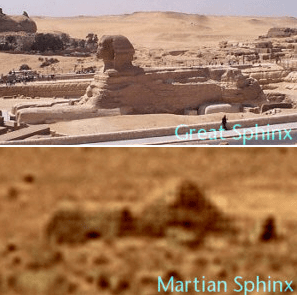 Zecharia Sitchin saw similar pyramids in photos of Mars the Mariner 9 probe produced. When Sitchin perused pictures of Mars’ “Inca City” area, he saw interlocking huge stone blocks, like at Sacsahuaman, Peru. On Mars, a meteorite crashed into a wall of such blocks and hurtled a chunk of the blocks to Antarctica on Earth. [Mariner 9 photo frame 4212-15 for the Inca City stone wall]. Nibiran-built pyramids on Earth, and Mars too amplified vibrations from their planets. On both planets, the Nibirans channeled water from nearby lakes or rivers to a stagnant pool under pyramids. A pump in a power-plant pyramid perpetually pumped its subterranean pool and produced an ongoing pulsation to a combustion chamber above. Liquid hydrogen chloride and hydrated zinc poured though stone ducts into the chamber. 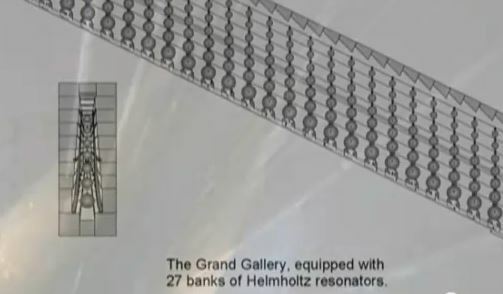 The liquids mixed and freed hydrogen gas which rose through 27 crystal amplifiers to the pyramid-top. The pulse thus capacitated exited top as perpetual microwaves for the Nibirans’ power needs. 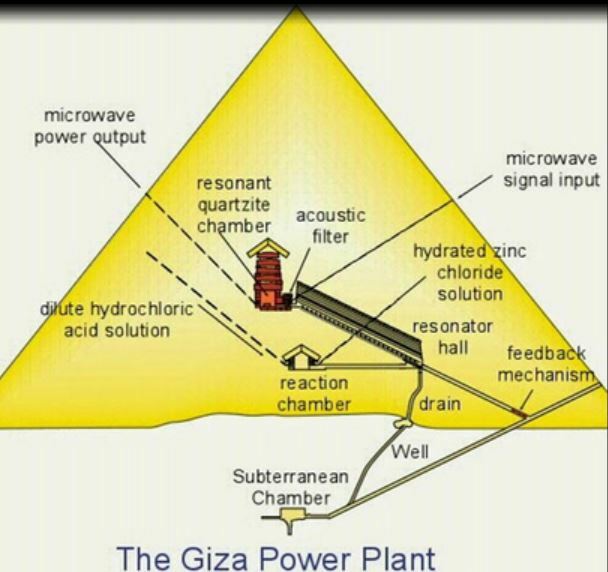 Dunn’s diagram of how the Giza Power Plant worked. Below, Christopher Dunn depicts a pyramids’ amplification crystals above its hydrogen-release chamber. The Nibirans placed Earth’s pyramids in Giza and Tiahuanaco on Earth and just west of Alalu’s statue at Cyndonia. Near Cyndonia, they planted raised beds of crops they irrigated from canals–from lakes on Mars and Tiahanaco and from the Nile at Giza [NASA Frame 52-A-35, Plate L].